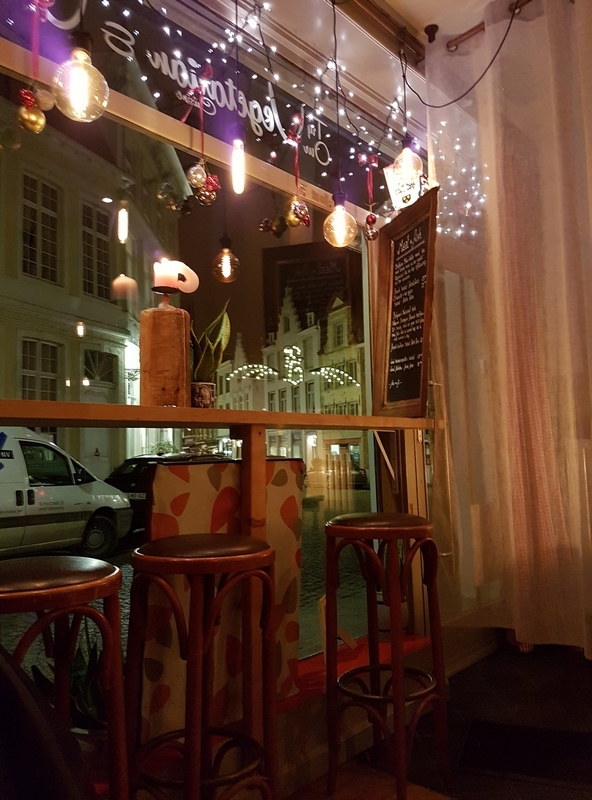 restaurant review #160 – De Brugsche Tafel is a ‘beer restaurant’ in the city center of Bruges (just 5 minutes from the central Market and the Belfry). 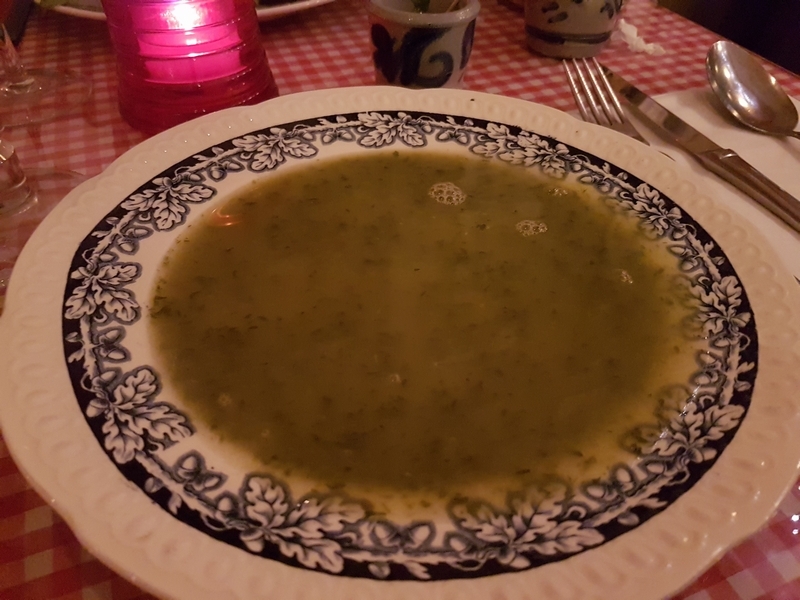 De Brugsche Tafel literally means ‘the table of Bruges’. The restaurant has a nice selection of beers. 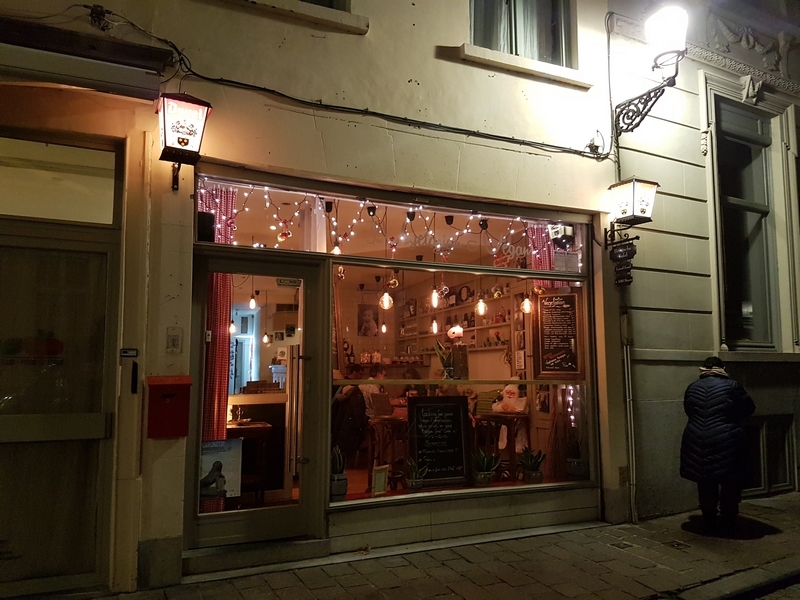 Since a a couple of months, De Brugsche Tafel has vegan dishes standardly available on the menu. Nice! 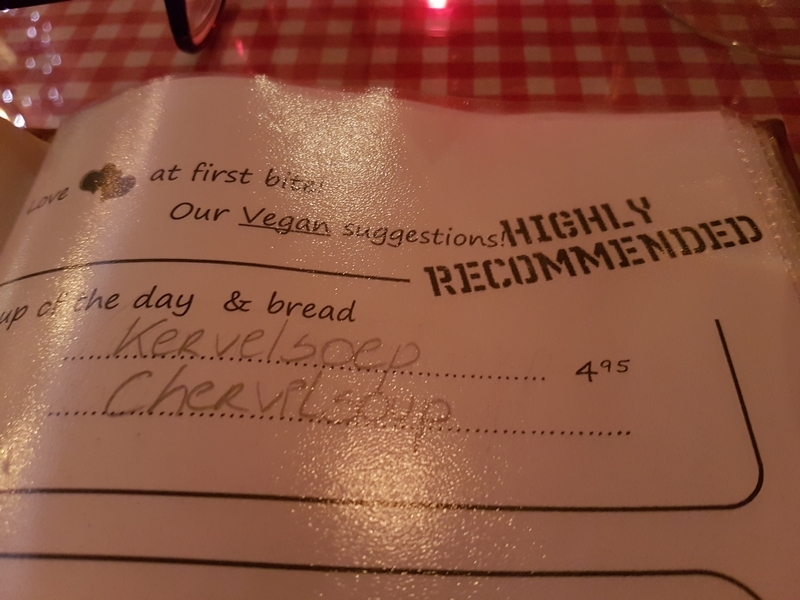 So we made a reservation (inquired again whether we could get something vegan when we telephoned, which was said to be no problem) and went here for dinner. 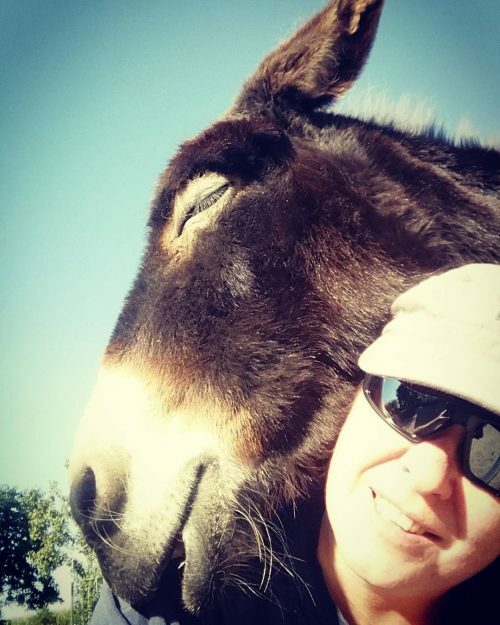 Our visit is from the beginning of December 2017. 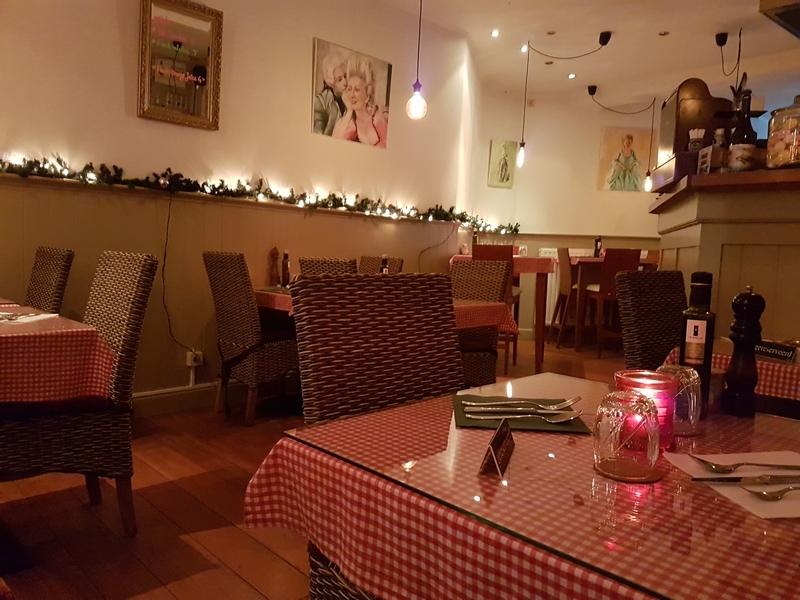 De Brugsche Tafel is rather small restaurant, and is a family run bussiness. 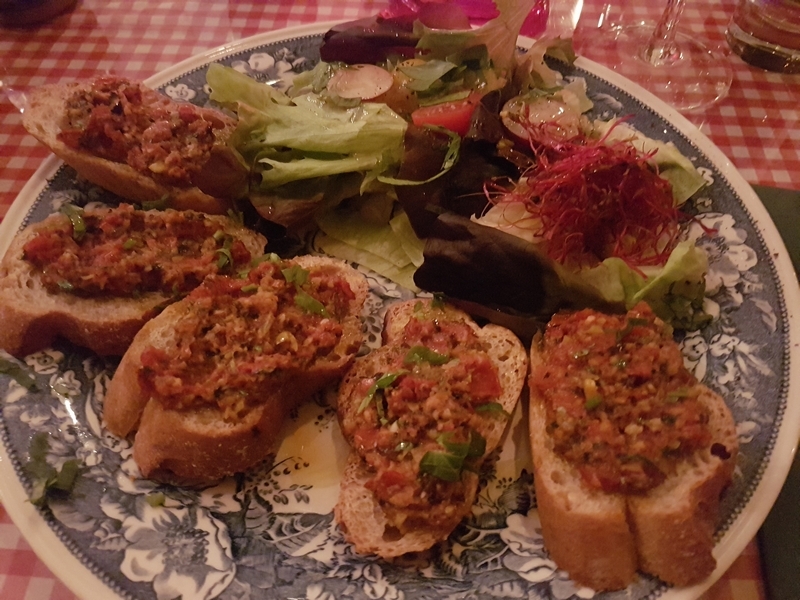 There are some vegan appetizers available, or ones that can be veganised, like bruschetta (8,90€) We had the soup of the day which was vegan and was chervel soup (4,95€). 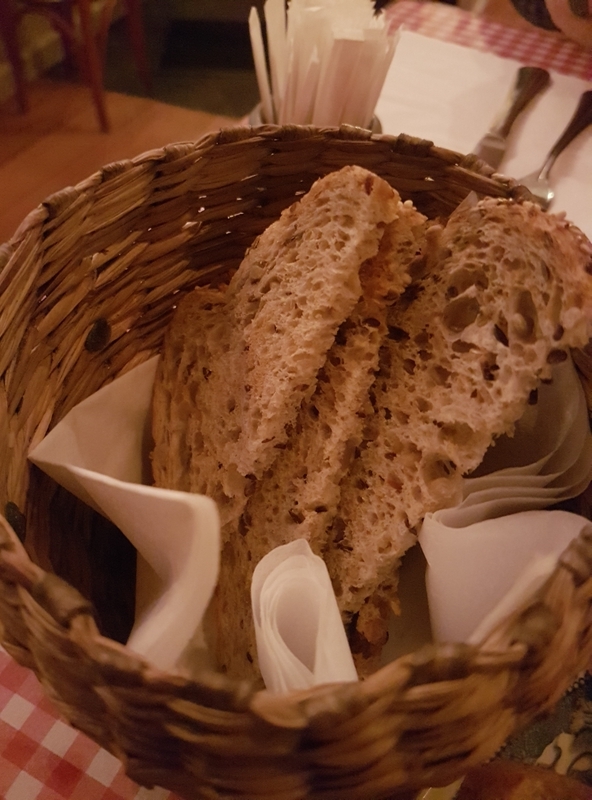 There is one vegan weeksuggestion (that week it was risotto, but it was sold out, since it was on a Tuesday evening and they close on Wednesdays). Another vegan dish was couscous with vegetables (13,95€) There are three pasta dishes on the menu that can be veganised, and as such we ordered the pasta arabiata (11,95€). The pasta was confirmed to be without egg. 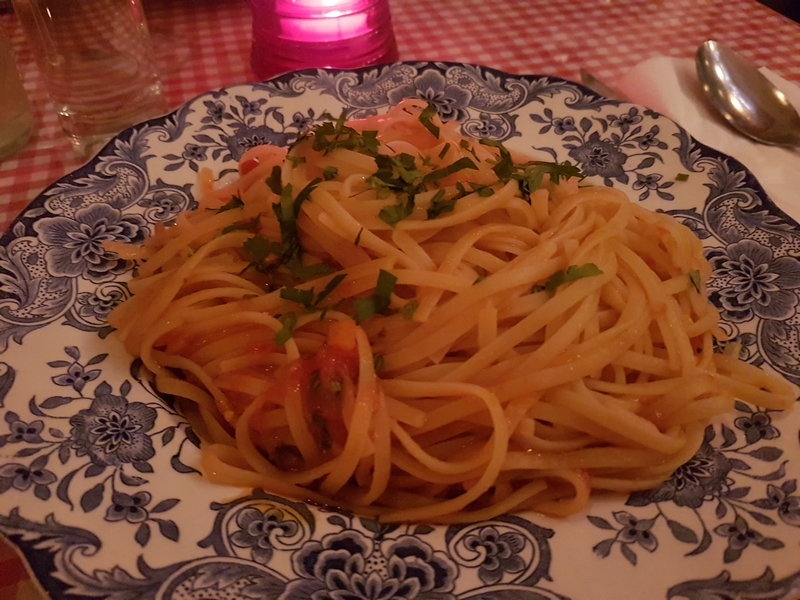 The pasta ariabata was very spicy! Jim had ordered this dish, and was OK with it, but I would not have been able to eat this, it was really hot! 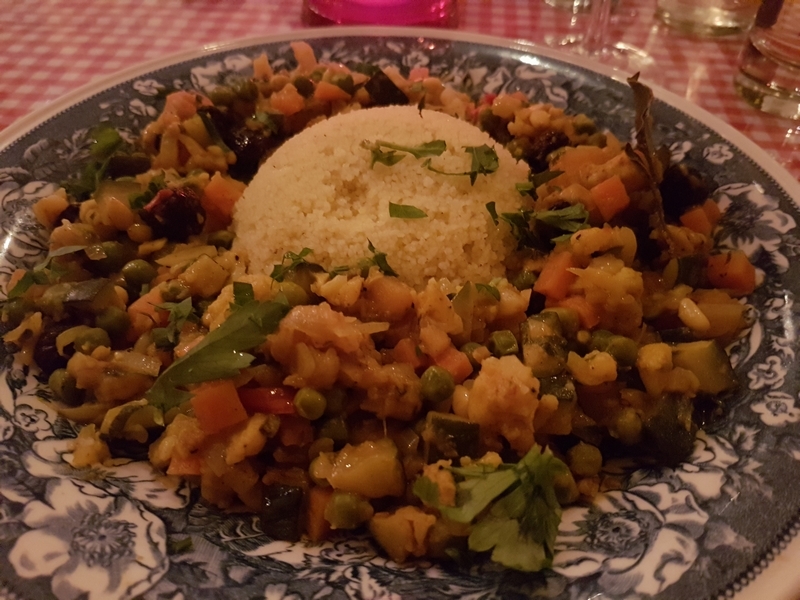 The couscous with vegetables was simple and straightforward and good. 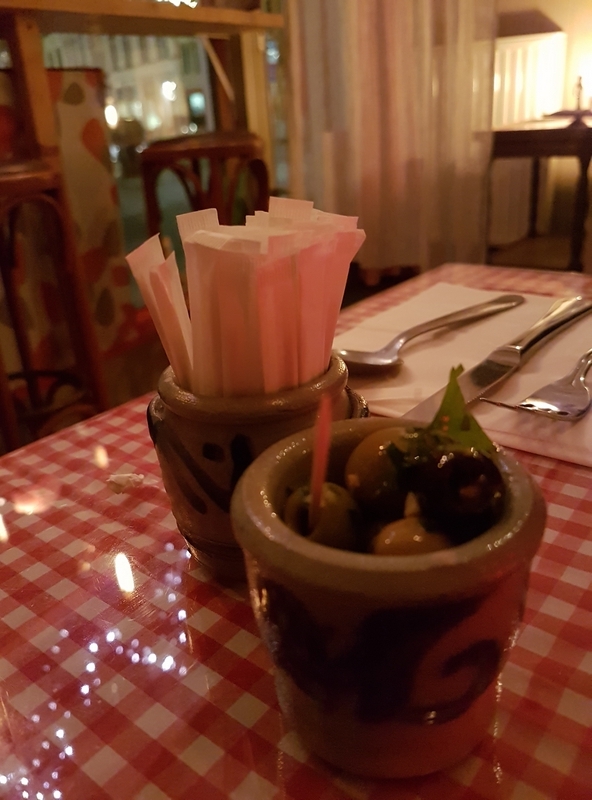 We inquired about dessert and normally there would have been sorbet with vodka, but it was not available that evening. All in all we had a nice dinner, in a relaxed atmosphere. Good value for money (cheap, considering it is in the heart of Bruges!). 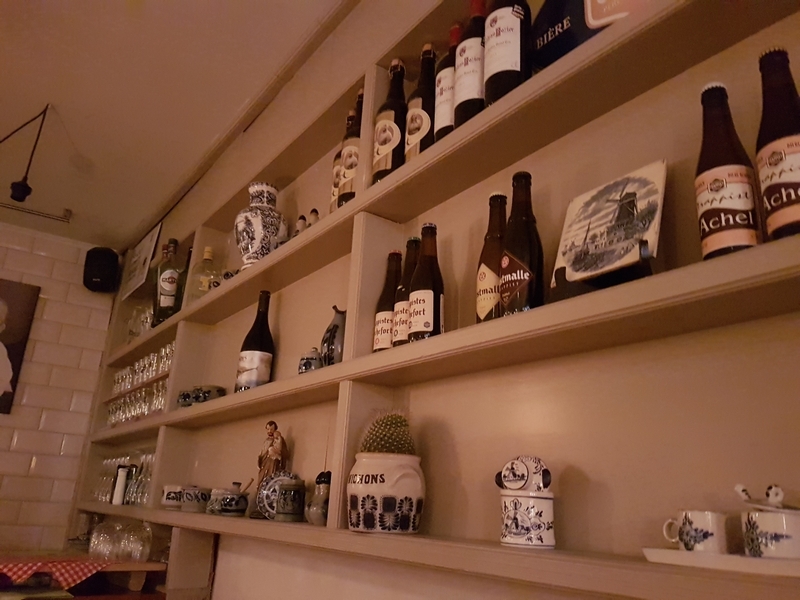 And a nice selection of beers (maybe try an Orval, it’s pretty rare to find in restaurants, and it is vegan friendly – like most Belgian beers are). 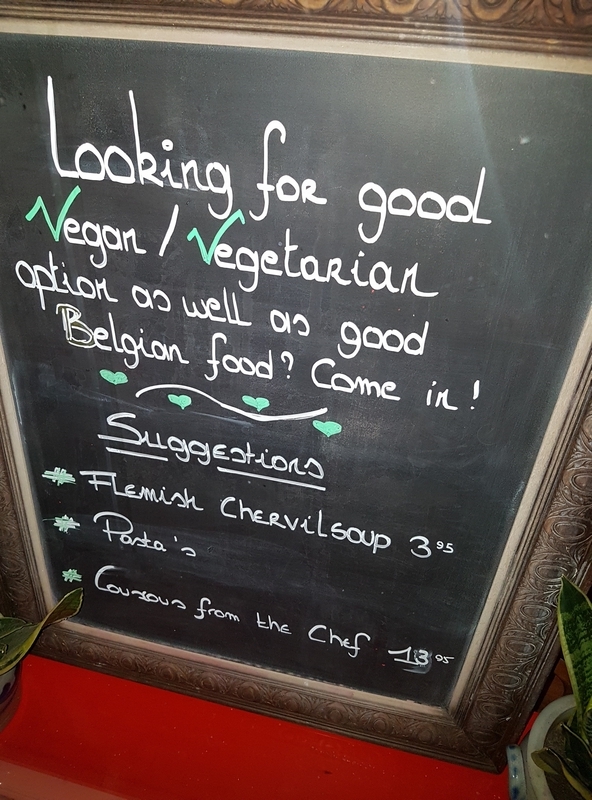 Great to see vegan options on the rise in Bruges! 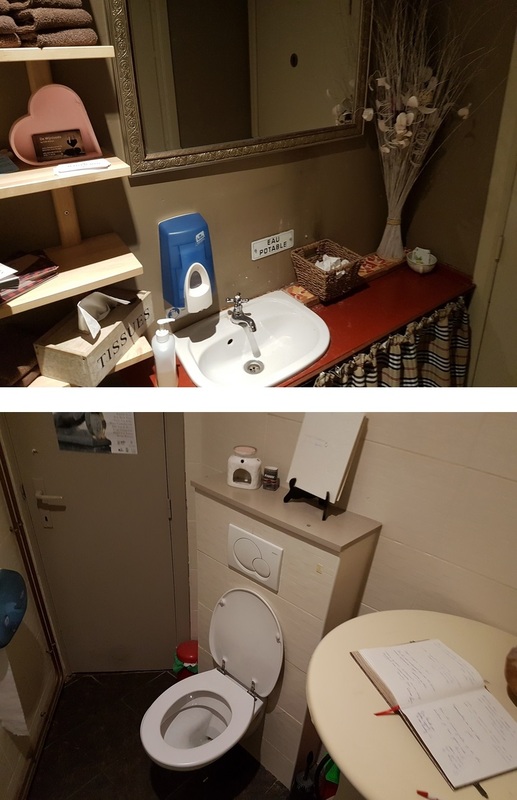 Next PostAbout the smallest room of the restaurant!